When a Dealer Refuses to Attempt a New Car Repair | The Consumer Law Group, P.C. What if a dealer refuses to repair my new car? Your new car should be perfect. After all, you carefully selected the best car you could afford and are working hard to make the payments. So it is a major disappointment when you start to notice that something is wrong. Maybe it shakes at certain speeds or the shifting is clunky. Maybe it is an issue with the onboard technology. Whatever it is, it should not be happening and, luckily, the car is under warranty and the problems should be fixed, right? In most cases, yes. However, there may be times when the dealer refuses to accept your car for repair. What do you do then? Under Virginia’s Lemon Law, if a problem with a new car cannot be fixed in several repair attempts, you may be entitled to a refund or a new car. However, if a dealer refuses to even attempt a repair, do you still have a Lemon Law claim? Possibly, but you will still need proof. 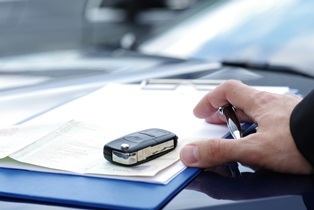 When you take the car in for the first time, the dealer will likely agree to evaluate it. Make sure he fills out a repair order and that you get a copy of it. If he returns the car claiming nothing was wrong and you continue to have the problem, take the car back to the dealer. This time, he may refuse to take it. This is where you will need to be assertive. Ask that he fill out a repair order anyway. He can write, “No repair attempted at this time.” Make sure the order has the date on it and the car’s details. You may also take the car to another dealer and document that encounter. These repair orders may provide sufficient evidence of repair attempts should you decide to make a Lemon Law claim. Why Would a Dealer Refuse to Repair a Car? In some cases, a dealer will not make a repair because it cannot get authorization from the manufacturer. If the manufacturer does not know what is wrong with the car or doesn’t know how to repair it, they may refuse to authorize the repair. Because the manufacturer is ultimately responsible for reimbursing the dealerships for warranty repairs, it is up to them to approve or deny a repair attempt. If a Lemon Law claim is successful, it is the manufacturer who must make amends with the consumer, not the dealership, so dealers often don’t have a problem passing the buck on to them. If you have a significant mechanical defect in your new car and are struggling to get adequate service from the dealership, tell us about it by filling out the form on this page. We will get back to you shortly to discuss your Lemon Law options.